Royalty-free vector illustration of a proud black businessman dropping money in to his piggy bank and holding the thumbs up sign. He’s grinning and is quite happy to be saving! 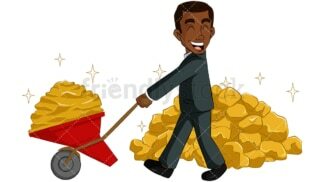 Royalty-free vector illustration of a black businessman carrying his gold in a wheelbarrow next to his mountain of coins. He looks thrilled and is smiling immensely! 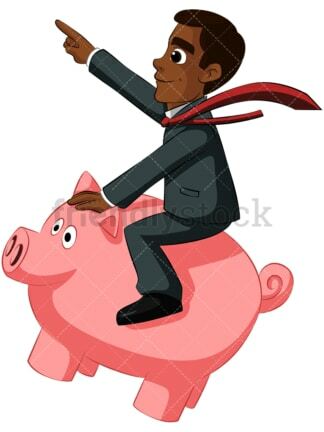 Royalty-free vector illustration of a black businessman riding a large piggy bank like a horse. He’s got one arm up as he charges forward, tie blowing in the breeze. 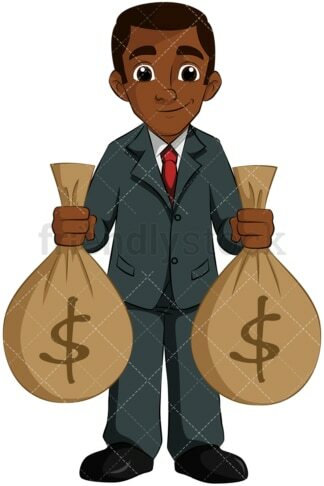 Royalty-free vector illustration of a successful black businessman standing in a mound of cash while throwing bills into the air. Looks like he just made a fortune! 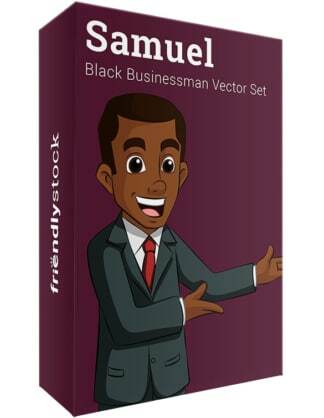 Royalty-free vector illustration of a black businessman with two large money bags. Call him Mr. Money Bags! Royalty-free vector illustration of a black businessman juggling a large magnet that’s attracting cash. Dollar bills are quickly flying his way! 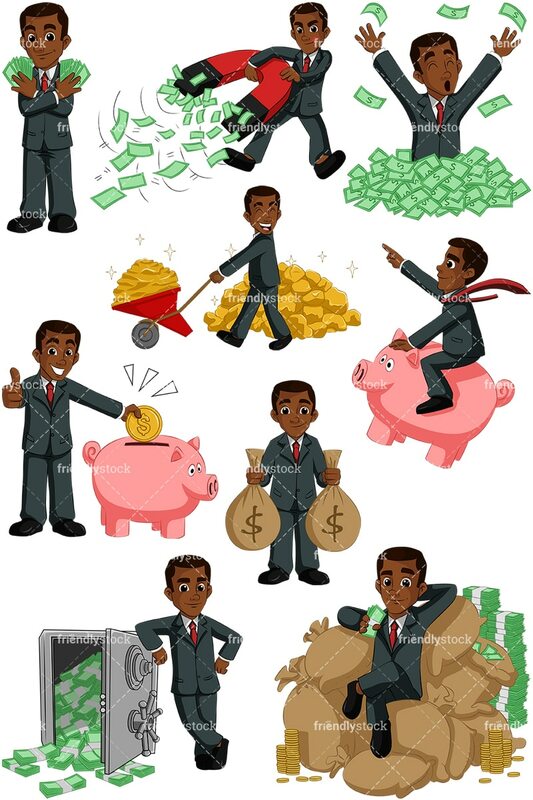 Royalty-free vector illustration of a comfortable-looking black businessman sitting atop piles of money, with cash and coins surrounding him. He’s got the best seat in the house! Royalty-free vector illustration of a black businessman holding up a cash fan in each hand. Looks like he’s going to help you get rich! 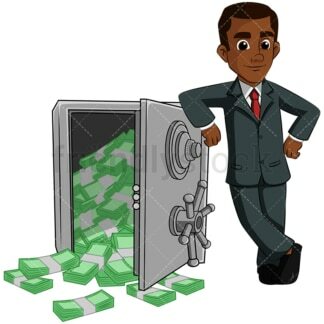 Royalty-free vector illustration of a black businessman guarding his open safe as money spills out of it. He’s leaning against is and looking relaxed, but don’t try anything!